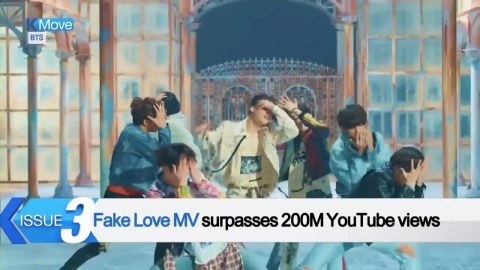 The music video for K-pop sensation boy act BTS's "Fake Love" has surpassed 200 million YouTube views on July 1st. This took place about 44 days after the music video's release, marking the fastest K-pop group's MV to reach the 200 million milestone. The seven-piece band was included on Time magazine's 25 Most Influential People on the Internet list for the second straight year.